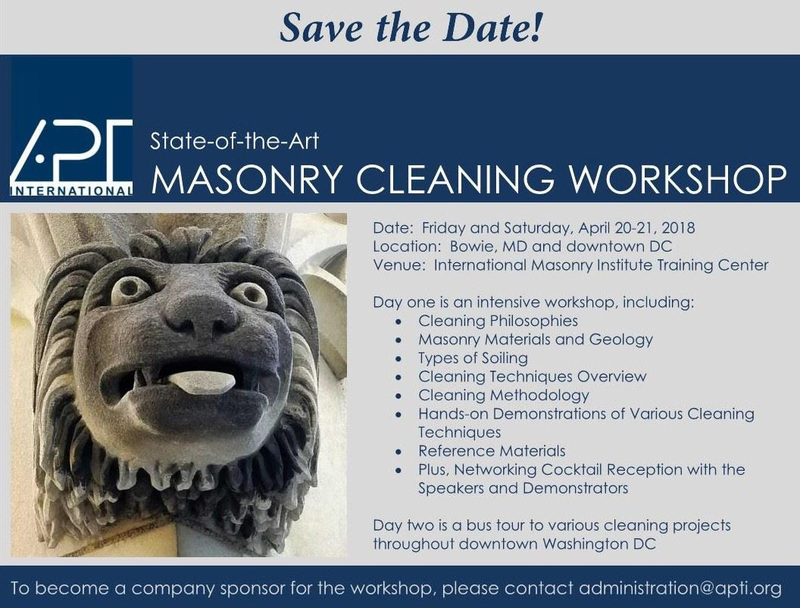 APT Masonry Cleaning Workshop will be held in Bowie, Maryland and Washington, D.C. on April 20-21. APT DC is partnering with APT International to host the two-day workshop which will focus on the principles, technologies, and protocols for cleaning historic masonry. Practicing professionals and contractors will present on and demonstrate the current and state-of-the-art methods and best practices for cleaning. The second day will consist of a bus tour of various projects and case studies around D.C. For more information, please email info@aptdc.org.